Ribbons: If hair is long, must be tied back with either blue or white ribbons. Boys’ and Girls’ School Uniform - Winter A dark, blue (navy) tracksuit or jumper can be worn with both the blue uniform and sports uniform. The tracksuit and/or jumper must have no markings, badges, writing or stripes. Navy blue tights are an optional part of the girl’s winter uniform. A school jumper jacket is available for purchase from Eaglesham’s Menswear. The wearing of jewellery (except religious medals etc., watches, studs/sleepers in ears) is not permitted. Children are reminded that only one set of earrings is allowed to be worn. The wearing of a broad brimmed, preferably the school hat, is compulsory. Boy’s and girls’ hair must be tidy and of natural colour. Boys’ and girl’s hair, if worn long, must be pinned/tied back for health reasons. If any doubt exists in regard to hair style, families should check with the principal before having a style change. Shirts for both boys and girls are to be tucked in at all times. ﻿PLEASE CLEARLY MARK ALL ITEMS OF CLOTHING. LOST PROPERTY IS CLEARED FROM THE SCHOOL TO ST VINCENT DE PAUL AT THE END OF EACH TERM. Prep Prep children are not required to wear a uniform however a prep shirt can be purchased at the commencement of each school year. It is necessary that they wear a broad brimmed hat. 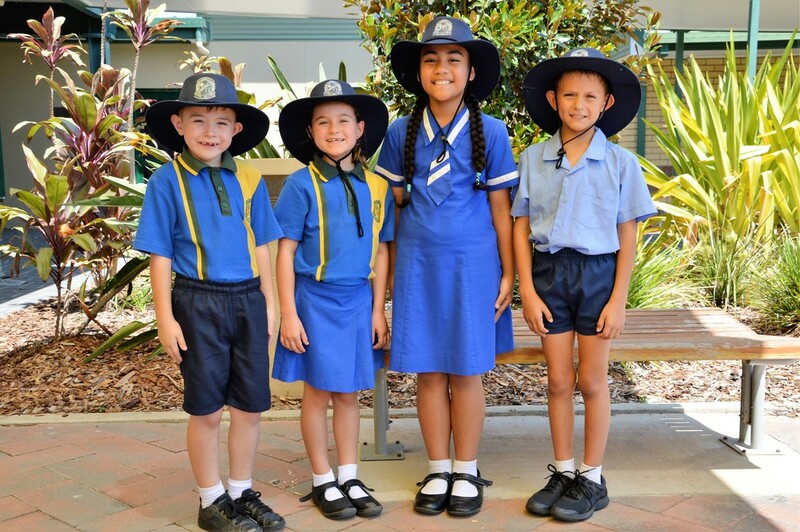 Note: Parents are responsible for ensuring that students conform to the school uniform regulations. All variations from the normal uniform e.g. “free dress” days will be communicated to parents by way of a notice or in the school’s newsletter.